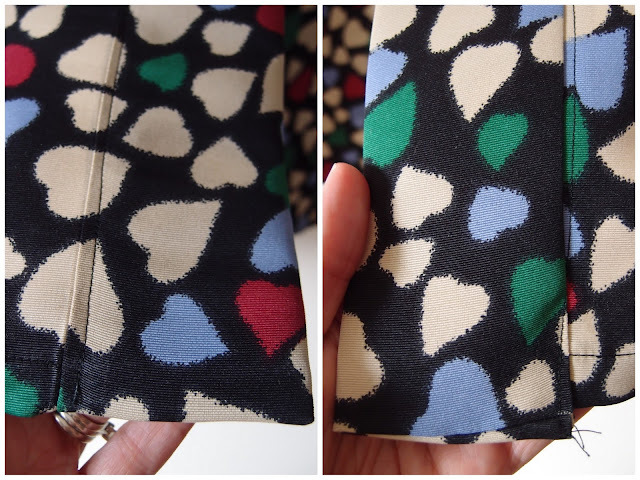 I had initially ear-marked this fabric to go in the "swap" pile for our recent Sydney Spoolettes fabric swap as I knew I would never make a dress out of it as originally planned (woven dress + me = no thank you). Now that I've been sewing for a few years I do have quite a few pieces in the stash that are just not "me"...hindsight really is 20/20. However, I did quite like the fabric and couldn't quite bring myself to part with it. 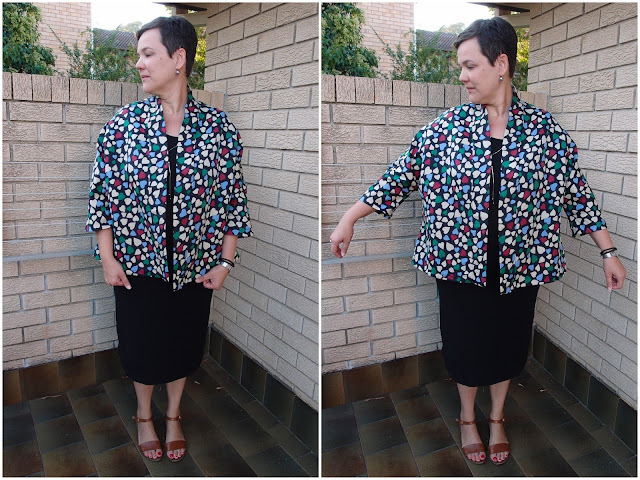 I have been keen to make another Tessuti Tokyo Jacket and this seemed like as good as any fabric as any to try it out in a bigger size. I knew the jacket would be quite stiff as it's similar to a cotton drill but it's REALLY stiff...which I suppose is not quite dissimilar to how a traditional kimono must feel when you have all the various layers on. I feel swamped and engulfed by the fabric! I think this is one of those makes that looks WAY better in photos than it does in real life. In fact I'm quite chuffed with how nice it looks in these photos with a simple, fitted black midi-dress. I was going to donate this to Vinnies, but perhaps I'll hang on to it for a bit and see if an occasion pops up where I can wear it. 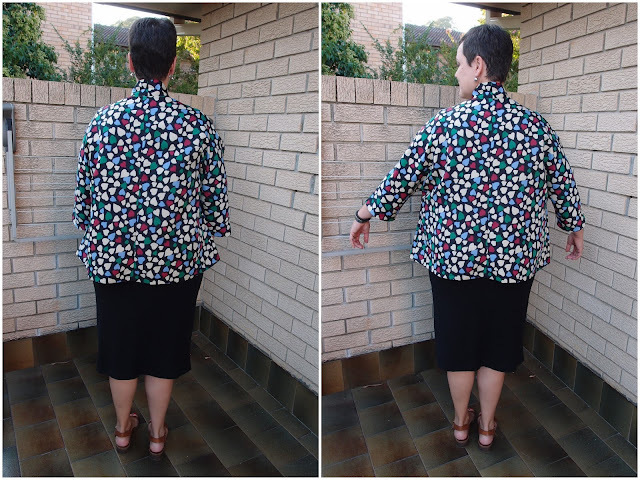 This was a fairly easy sew (partly as the fabric was so stiff), but like my first Tokyo Jacket (made in a very shifty fabric) the neckband gave me trouble...which is why the pattern tells you to baste the neckband before sewing it with your machine. The neckband kind of "grew", the result of which you can see on the right of the photo below -- it's not flush with the hem (which also happened with my first jacket...also not basted. I've learnt my lesson for next time). Also, you can see the top stitching on the left is "on" the neckband; but on the right it's on the jacket. This is because I sewed from the wrong side and not in the ditch like the instructions say so I couldn't see what was happening on the right side...and also because I didn't baste the neckband down. Lazy me got what she deserved, but by this stage I was SO over the jacket and ready to move on to something else. Once we're back into summer sewing I will make this pattern again with some fabric I bought a few years ago in Malaysia. It's softer, but not super drapey or slinky so should be easy to sew with but be nicer to wear. Fabric: something or other woven from Clear It in Melbourne. Changes for next time: none, other than better fabric choice.